In ES6, you can tweak how objects are treated in numerous situations by using several so-called ‘well known symbols’. Some intriguing stuff here. First there was Crockford’s JSLint, then the more configurable JSHint, then.. ESLint which its creator explains and demonstrates in full here. 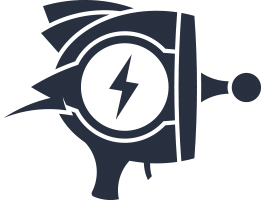 Raygun offers full stack support & detailed diagnostics that enable you to resolve errors fast. You can even contact effected users to let them know it’s sorted. Setup takes minutes, why not make this your most productive coffee break ever? Try Raygun free for 30 days. The creator of the popular Discourse forum software (which heavily uses Ember) finds Android isn’t keeping up with iOS’s JS performance leaps. Flux is a pattern for handling data in your application, initially focused on use with React. It can be tricky to understand though, so this guide explains it in a simple, visually-driven way. The latest in Nicolas’ dives into ES6’s features. This time promises get the full treatment. Well worth the read. A fixed 4.x release is due next Monday. Don't forget Node Weekly if Node news is key to you. OSCON is happening 26–28 October in Amsterdam. That's only a matter of weeks. Where will you be? If the answer is "at the office, wishing I were at OSCON," we've got a plan. Here's how to get your boss to send you to OSCON. Rendr is a library for isomorphic use of Backbone.js, allowing rendering on both client and server. A discussion about the implementation of the Async Function specification in Edge. DreamFactory released v2 of its versatile and powerful API platform. Free hosted dev sandbox for rapid prototyping. Used to drive the motion of UIs. It has native support for CSS, DOM attributes, SVG and SVG paths. Release notes, if you’re interested.